The objective of the Wear-a-BAN project (Unobtrusive wearable human to machine wireless interface) is to investigate and demonstrate ultra low-power wireless body-area-network technologies for enabling unobtrusive human to machine interfaces into market segments such as smart and interactive textiles, robotics for augmented reality assistance and rehabilitation and natural interfacing devices for video gaming. 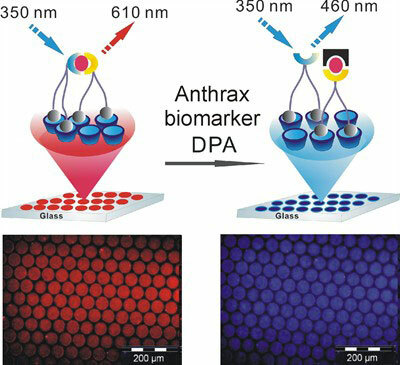 Nanotechnologists at University of Twente's MESA+ research institute have developed a sensor that can detect anthrax spores. The invention is more sensitive and efficient than existing detection methods. Dublin City University (DCU) has been awarded EUR23.8m in Cycle V PRTLI, following an announcement earlier today by An Taoiseach, Brian Cowen. All three DCU-led projects were successful in their bid for funding, with a further two, in which DCU are partners, also successful. Researchers from Irish companies and higher education institutions won funding totalling 213 million euros for collaborative research projects in areas like ICT, health, nano-technology and energy from the largest European R+D funding programme ever, announced Minister Conor Lenihan TD. 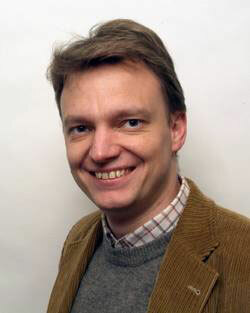 Thomas Klar wins the forth ERC starting grant within CeNS. 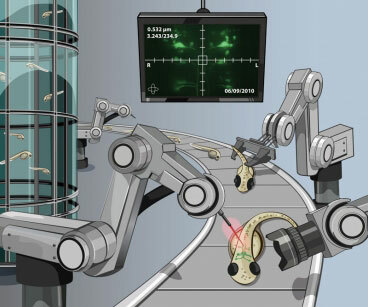 With the aim of speeding up the process and enabling large-scale studies, engineers at MIT have developed a new technique that can analyze larvae in seconds. Materials science and nanotechnology researchers at the University of Nebraska-Lincoln are getting some much-needed equipment that will help enhance and expedite their studies. A completely new method for producing an image of individual DNA molecules' genetic make-up has been developed by researchers in Sweden and Denmark. A new vaccine-delivery patch based on hundreds of microscopic needles that dissolve into the skin could allow persons without medical training to painlessly administer vaccines - while providing improved immunization against diseases such as influenza. Among the events of the festival will be an educational workshop on nanotechnology. A research team in Thailand has investigated the absorption and emission spectra of ultraviolet (UV) B blocking methoxy substituted cinnamates using the symmetry-adapted cluster configuration interaction method. Computer simulations designed to investigate the so-called indium/gallium puzzle have highlighted a new way of increasing the efficiency of CIGS thin-film solar cells. 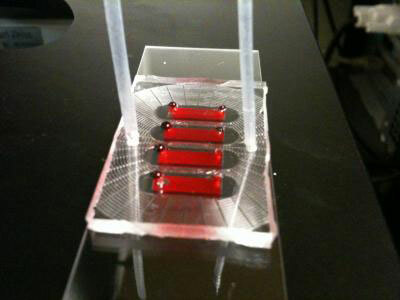 Microfluidic device uses antibodies to 'capture' white blood cells called T cells affected by HIV. Starting with simple carbon nanotubes, a team of researchers from the United Kingdom and Spain has developed a sugar-coated nanocapsule that can deliver large doses of radioactivity to tumors. When loaded with an anticancer drug, a delivery system based on a novel material that its creators call a nanosponge is three to five times more effective at reducing tumor growth than direct injection of the same drug. This workshop will bring together informatics experts, nanotechnology researchers and policy makers, and other stakeholders and potential contributors to jointly develop a comprehensive roadmap for the area of nanoinformatics.